Many people suffer from abdominal pain as a result of appendicitis or gall bladder stone. This severe abdominal pain may be caused by appendicitis or inflammation from a gall bladder stone. Diagnosis is confirmed immediately by using RPH’s high resolution computer tomography (CT 128 Slices). Following diagnosis, the patient who requires appendectomy or cholecystectomy is provided with surgical services from RPH’s team of expert physicians who perform operations using modern and minimally invasive methods using a laparoscope. Through this method, the patient does not undergo a large incision, allowing him to recover faster with a shorter length of stay in the hospital. 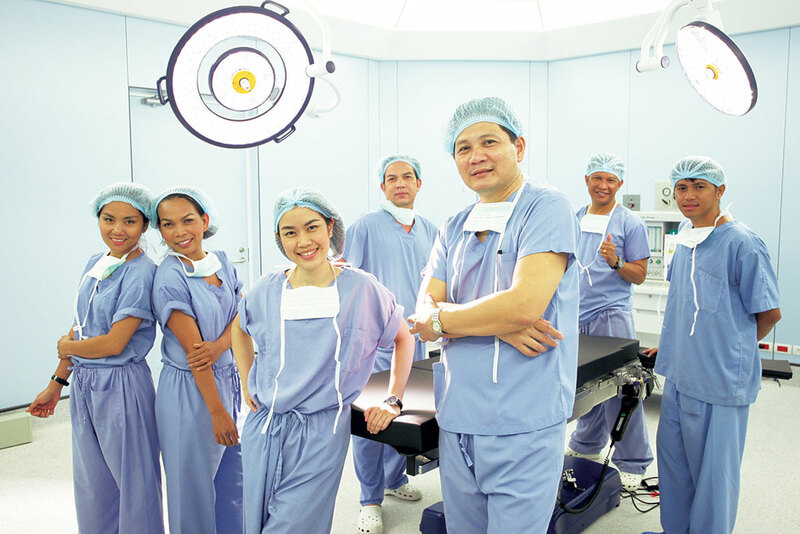 Royal Phnom Penh Hospital is equipped with state-of-the-art operating rooms and our surgeons are supported by a team of operating room staff including anesthetists, and post-operative care specialists. We offer a full range of surgical care, including abdominal, orthopedic, ear nose and throat, ophthalmology and gynecology.